School Districts Serving Students Of Color Have Less Money According to a new report, predominantly white school districts receive $23 billion more than districts that serve mostly students of color in the U.S. The idea that school district borders carry years of history is the premise of a new report from the nonprofit EdBuild, which studies the ways schools are funded in the U.S. The report starts with a number: $23 billion. According to EdBuild, that's how much more funding predominantly white school districts receive compared with districts that serve mostly students of color. "For every student enrolled, the average nonwhite school district receives $2,226 less than a white school district," the report says. EdBuild singles out 21 states — including California, New Jersey and New York — in which mostly white districts get more funding than districts composed primarily of students of color. More than half of students in the U.S. go to segregated or "racially concentrated" schools, according to the report. Those are schools in which more than three-quarters of students are white, or more than three-quarters are nonwhite. 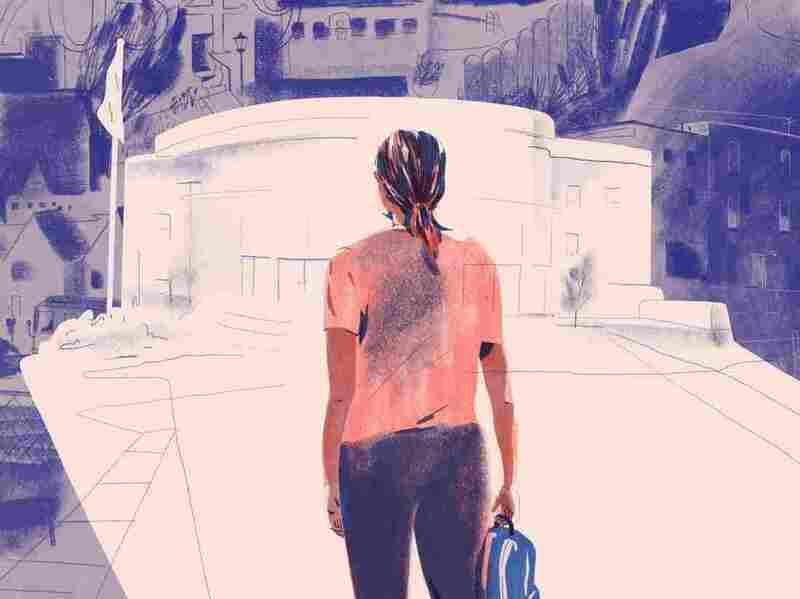 Researchers found that high-poverty districts serving mostly students of color receive about $1,600 less per student than the national average. That's while school districts that are predominately white and poor receive about $130 less. As Rebecca Sibilia, founder and CEO of EdBuild, explains, a school district's resources often come down to how wealthy an area is and how much residents pay in taxes. "We have built a school funding system that is reliant on geography, and therefore the school funding system has inherited all of the historical ills of where we have forced and incentivized people to live," she says. Public schools are primarily funded by local and state sources — the federal government pays for less than 10 percent, on average, of K-12 education. States sometimes step in to provide extra funding for districts that need it most. But not all states have been able to keep up with that demand. In some of the states with the worst funding disparities, teachers have gone on strike in the past year. In Arizona, poor, primarily white school districts get about $19,000 per student — while high-poverty, nonwhite districts get about $8,000, according to EdBuild. That means high-poverty districts made up of mostly students of color — about a third of the school districts in the state — receive almost $11,000 less per student than the state's high-poverty, predominantly white districts. Sibilia also points to the #RedForEd movements in Oklahoma and Colorado. Because those states have placed limits on their taxes, she says, they simply don't have the income to step in and fund the school districts that need it most. According to EdBuild researchers, predominantly white districts are often smaller than districts with mostly students of color: The former serves an average of just over 1,500 students, and the latter over 10,000, or three times the national average. That size disparity matters. Sibilia says districts serving mostly students of color "rely more on the decisions that are being made at the state level, but there are fewer voices representing them. And that's where you really start to see the shift in power." This power dynamic looks different in the South, where school district lines are often drawn along county lines, making districts larger across the board. Researchers found that funding looks more equal in states like Georgia and Alabama. "This confirms a theory that we've had, which is that the larger the tax base — the larger the actual geography of the school districts — the more you can actually balance out the difference between a wealthy white suburb and a less wealthy rural or urban area," Sibilia says. EdBuild researchers looked at data from a variety of sources — including the Education Department and the U.S. Census Bureau — to find school system demographics and district funding levels. They compared the funding across districts after taking cost of living into account.